Here at Dance4Passion we offer a range of dance classes across ballroom and latin styles. Our ballroom dance classes are some of our most popular. These classes are enjoyed as a hobby, competition or for special one off events. Below we’ve highlighted some of the reasons that ballroom dancing is so popular at the Dance4Passion dance school. Ballroom dancing encompasses a number of different styles of dance including Waltz, Quickstep, Foxtrot, Viennese Waltz and Tango. All of these ballroom styles offer a range of health boosting benefits, such as a low impact cardio work out, which will increase your heart rate and keep you feeling fit and toned. Learning, remembering and memorising choreography also helps to enhance your memory, improve your awareness and can help you to unwind and relax. Ballroom dance classes are a great way to socialise. If you move to a new city or town, it can be a great way to make friends and join a community. As ballroom dancing requires a partner, it can be a hobby you can enjoy with a friend, or partner. It’s a great fun way to keep fit, learn new skills, and meet new people – which explains why it is one of the most popular forms of social activity in the country. Ballroom dancing is also wonderful entertainment. If you’re organising a wedding, or special event, ballroom dancing can provide you and your guests with a dazzling performance to make your night one to remember. If you want to create a really special first dance on your wedding day, we can create and teach personalised choreography that is meaningful to you and your partner, to wow your guests on your big day. 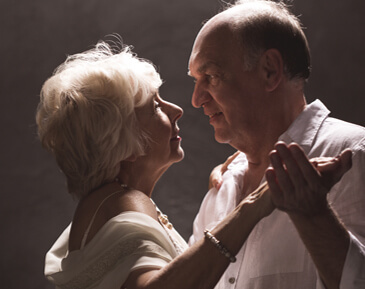 In the lead up to your wedding, taking some time out as a couple to participate in a few ballroom dance classes can be a fantastic and fun way to bring you even closer as a couple as you learn a new routine together. 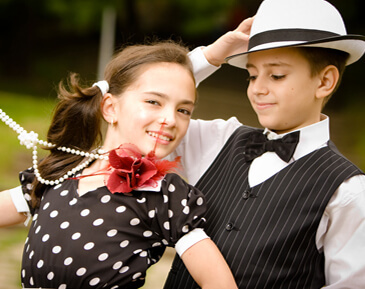 Ballroom dancing is suitable for people of all ages and technical abilities. If you’ve never tried ballroom dancing before, or haven’t danced for years and would love to get back into it. So hurry and book your place at one of our ballroom dance classes today before they’re all sold out! To book, you can use our free online contact form by clicking here. Alternatively, you can call us on either 07956 771616 or 07903 893631. If ballroom dancing doesn’t appeal to you, that’s no reason to give up on learning to dance. At Dance4Passion we offer some amazing latin dance classes guaranteed to get you up and moving! Not convinced? Maybe we can help change your mind. Click here to visit our article “The Benefits of Latin Dance Classes“. Error: Error validating access token: Session has expired on Tuesday, 09-Apr-19 17:26:27 PDT. The current time is Sunday, 21-Apr-19 18:52:31 PDT.